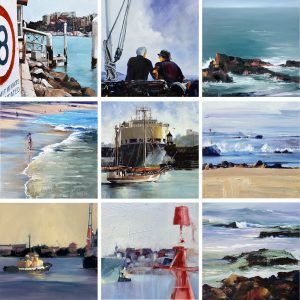 01 Apr Mansfield Art Show – Perfect Easter get away! Herman Pekel, Joseph Zbukvic – and more) – in the picturesque country town at the foot of Mt Buller. And it’s a great time for an Easter break in Victoria’s beautiful High Country! Masonic Hall, Highett St Mansfield, Victoria. There’s so much to see in & around the town – so stay for Easter! and mountain forests, well-known for its stunning scenery. form tree-lined boulevards with gardens along their wide central strip as they meet in the town centre. of constables killed by bushranger Ned Kelly. from Seymour in central Victoria right up to Echuca on the Murray River. 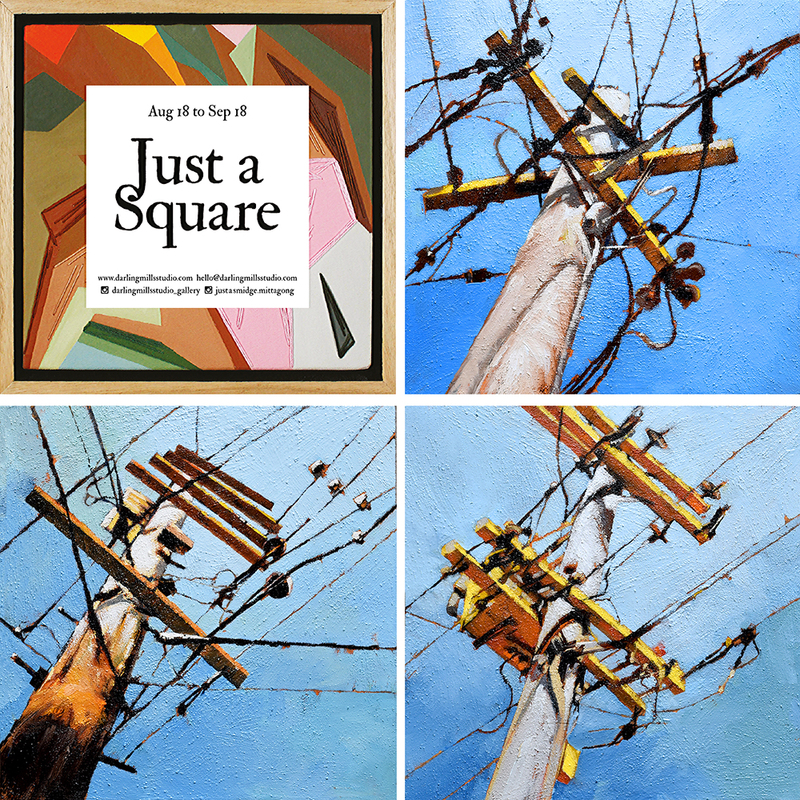 So come on down for Easter and stay a while for a great break, and some wonderful art! north shore and I’m so happy to be part of this show! on the opening night! Hope to see you there. The show continues on Saturday, free (and there is a fair for the kids) and finishes on Sunday at noon. 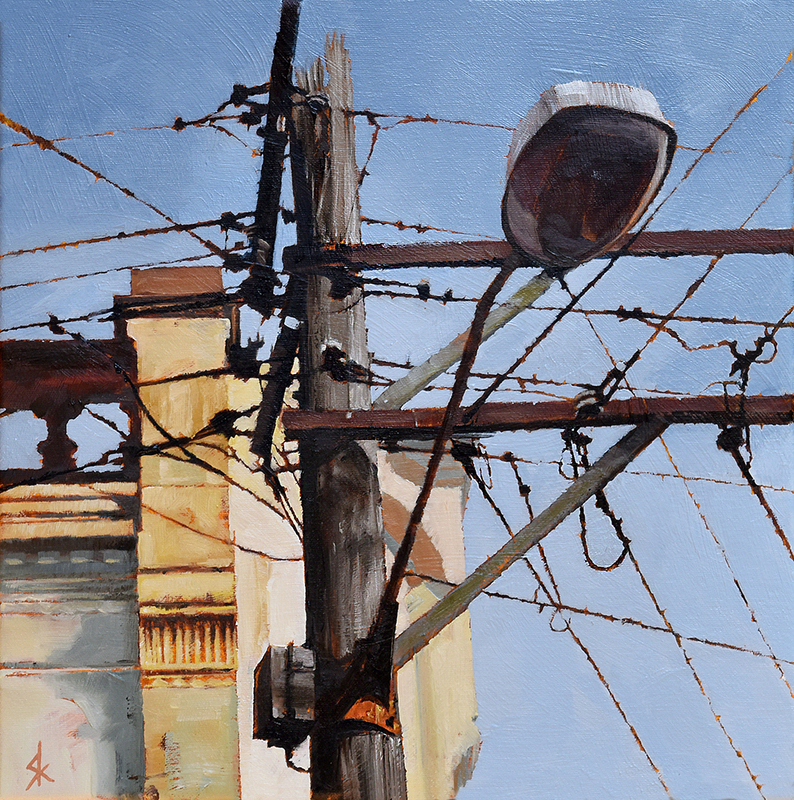 A brand new collection of facades & power poles are on show and available from The Moree Gallery. I think (really) these are my best to date! They are all 33 x 33cm, oil, framed in fine solid natural timber. There are a few new ones here as well. amazing support throughout the year, which has absolutely flown past! – and all the very best for the coming year! 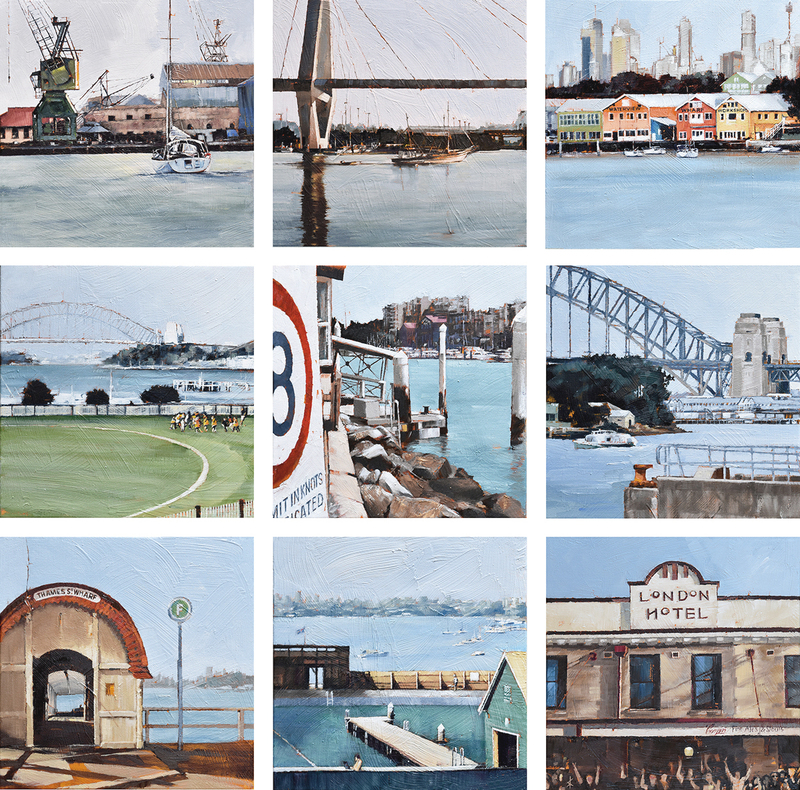 A string of facade paintings have been snapped up by collectors from all over recently! 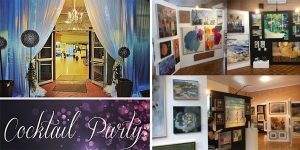 Very happy, thank you so much The Moree Gallery and the people who like to have my paintings on your walls. 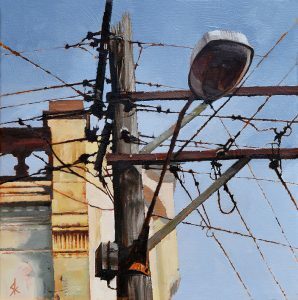 be more later in the year, followed by some Country Town paintings. More about these will be posted here later! from the Industrial Age when “new” technologies and materials (like concrete) were considered cutting edge. We are left with a decaying structure a bit like an abandoned locust shell – where the occupant upped and moved on. The Balmain Peninsula, a collection of local scenes featuring water around the peninsula. The client was after iconic scenes of the area they knew as children. My usual thing is looking up, but looking out and beyond makes a nice change! This pair of Very Small Paintings were commissioned for people who have moved house. or just as visual snippets of local themes. Also they can be hung side by side or one above the other. Or not together. Anywhere. Email or call me to enquire. 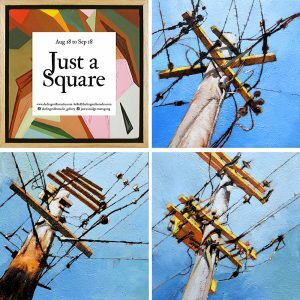 as they are often more complex than my normal Very Small Paintings. But then… if you don’t like the work you don’t have to pay for it!